Is It Fitting for the Priest to Recite All the Texts of the Mass? Nowadays I always want to ask (and if I am on the scene, I do ask) exactly which changes the person has in mind and why he thinks they would be improvements. 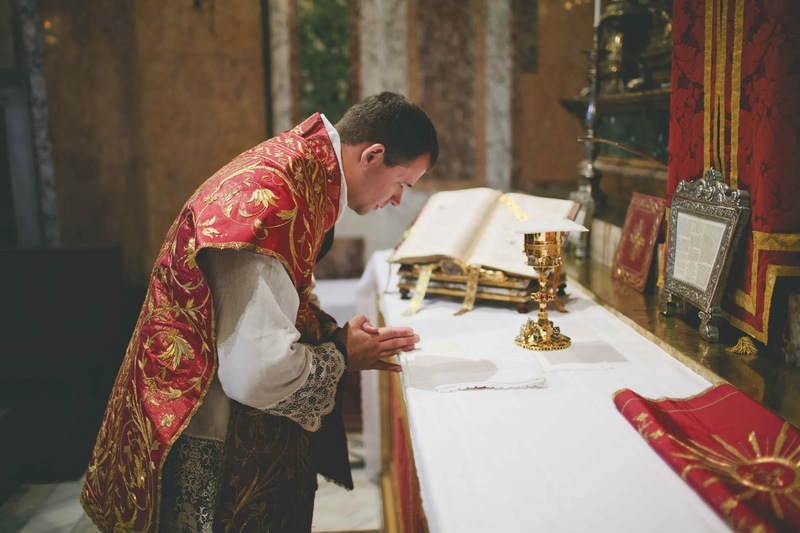 With few exceptions, arguments in favor of changes to the Missal’s texts, rubrics, or ceremonies do not carry conviction with those who understand (and therefore love) the meaning of those texts, rubrics, or ceremonies. At this point in my life, after a long experience of knowing and loving the traditional liturgy in its purity of doctrine, poetic expressiveness, poignant symbolism, effortless integration of clergy, people, and musicians, and (not least) unerring psychology and pedagogy, I tend to have the most serious misgivings about any of the proposed “improvements” that people suggest. Such “improvements” would be obtained at the cost of harming the integrity of the liturgical rite, a cost too high to pay for debatable gains. My view was not always thus. There was a time, years ago, when I thought that the old Mass could be improved in this way or that way. For example, I once believed that it was self-evident that the priest should not be repeating the antiphons or prayers that the people or the schola were already singing. I had read liturgical scholars who pointed out that this had resulted from the backwards influence of the Low Mass upon the High Mass and who judged it to be a superfluous redundancy, a sort of subtle clericalism that required the priest to do everything or else “his Mass” would not be complete. I remember arguing in a forum that during the Gloria and the Credo, the priest should not recite the text and then sit down, but sing it along with the people, standing all the while with them. But I no longer agree with the rationalistic experts. I have come to see beauty and wisdom in the development that led to the priest’s personal recitation of all the texts in an usus antiquior High Mass, and while a short article cannot do justice to the topic, I would like to offer some initial thoughts, in the hopes that readers (especially priests) will add to the conversation via the comments. Because the priest stands at the altar in persona Christi, he stands in the person of the “whole Christ,” head and body. He performs gestures and recites prayers both in the direction of Christ to the faithful, the downward mediation of sacred things, and in the direction of the faithful to Christ, the upward offering of gifts and prayers. The moment of perfect assimilation to Christ the High Priest comes at the moment of consecration, when the priest speaks as if he were none other than Christ Himself, whose living icon and instrument he indeed is: Hoc est enim Corpus meum . . . Hic est enim Calix Sanguinis mei . . . The ministerial priest’s identity is thus consumed by and hidden within the singular, all-perfect ontological priesthood of Jesus Christ. But when the priest says out loudNobis quoque peccatoribus, there he is representing the people, the members of Christ’s mystical body—for in the head of this body there is no sin, while in its members there are imperfections that must be overcome to make their incorporation all the more definitive. Hence, in his very sacramental identity, the priest represents the whole Christ, head and body, and it is fitting that he maintain this role of complete representation from start to finish—from the beginning of the Mass, bowing before the altar in humility and confession, until the very end, blessing the people and reminding them of the sublime Incarnation of the Word, plenum gratiae et veritatis.The dramatic symbolism of the liturgy admits of no interruption, no mixed messages. With this truth in mind, it becomes clearer why Divine Providence allowed the custom to develop that the priest recites the entire Mass—all of the propers, readings, and prayers—even when subordinate ministers, a schola, or the people are reciting or singing some of them. When the priest recites the Introit, he is standing in the person of Christ the prophet, announcing some mystery that has been accomplished in the Lord’s earthly mission. When the priest recites the threefold Kyrie with its quiet, sombre rhythm, he is beseeching the mercy of almighty God, again acting visibly in the person of the one High Priest who offers sacrifice on behalf of sinners. When he intones the Gloria, he acts as representative of the people, the members of Christ, who worship the triune God; this, too, is a priestly act, one that belongs to all the faithful but is nevertheless most proper to him, in virtue of his possession of Holy Orders. When he reads the Gospel, it is as the living image of Christ that he reads it. None of this downplays or dilutes the roles that other ministers or the people themselves have and should have; instead, it merely draws into maximal unity the liturgical action by having it flow from and return to the same Alpha and Omega, Christ Himself, whose unity of being and operation is sensiblyrepresented by the celebrant. Many such examples can be given from the liturgy. The priest performs gestures and recites prayers that are fitting not only to the head, Christ as High Priest, but also to the members of Christ’s body, the Church, bone of his bone and flesh of his flesh. To repeat, he represents the whole Christ, head and members. And so it is eminently fitting that he, who has been fashioned to the image and likeness of the Mediator between God and man, should ever have on his lips and in his heart the prayer of the head as well as the responding prayers of the members. True it is, and a wonderful mystery, that all Christians share in the priesthood of Christ: each of the faithful is baptized a priest, prophet, and king. The sacramental character indelibly imprinted upon the soul at baptism is a title to worship the true and living God, bestowing the right to partake of the other sacraments and, ultimately, to receive their fruit, eternal life. The baptismal character empowers the Christian to receive further gifts of grace, to offer pleasing worship, and, above all, to receive the precious Body and Blood of Christ. This is classic doctrine, taught by St. Thomas Aquinas, many other doctors of the Church, and the Magisterium itself. So it is no less right and fitting that the faithful sing those parts of the High Mass that pertain to them, such as the Ordinary—the dialogues, the Kyrie, Gloria, Credo, Sanctus, Agnus Dei, etc.—and that they perform the bodily actions called for by rubric or custom, and join their fervent silent prayer to that of the priest who represents them. In so doing, they perform their priestly office. Each does that which is proper to him to do, and is united in spirit to all the others, under the headship of Christ. This, truly, is a vision of order, harmony, peace, and wisdom. It is the order we see in germinal form in the New Testament, manifested in the epochs of Church history, inherent in Catholic Tradition, unfolded in the organic development of the liturgy. As hellbent as the liturgical reformers and radicals were (and still are) to overthrow this natural and supernatural hierarchy, they are kicking against the goad, like Saul, and might as well kick against an immovable rock. It is our privilege as Catholics to be the many and varied members of the Mystical Body and to find our sanctity in serving humbly in the place to which we have been summoned by divine Providence. This includes, of course, the priest serving to the maximum in his priestly role, without embarrassment, attenuation, or dispersion. I have not even touched the question of the subjective or personal devotional value of the recitation of these antiphons, prayers, and readings by the celebrant—a value that many priests who celebrate the usus antiquior recognize and appreciate as a precious help to their own participatio actuosa in worshiping the Lord. My argument is founded, rather, on objective facts about the very nature of the liturgy and the priesthood, an objectivity that is beautifully symbolized and enacted by the customary practice under discussion, and therefore duly impressed upon the faithful who attend the Mass. https://www.lmscardiff.org.uk/wp-content/uploads/2016/10/LMS_Header_2016_Plain_Alternative.png 0 0 LMS Cardiff https://www.lmscardiff.org.uk/wp-content/uploads/2016/10/LMS_Header_2016_Plain_Alternative.png LMS Cardiff2014-02-10 09:44:312014-02-16 03:45:39Is It Fitting for the Priest to Recite All the Texts of the Mass?